LOCATION, LOCATION, LOCATION!!! Check out this beautiful home with lakeside views and access, in sought after Touchdown Estates. 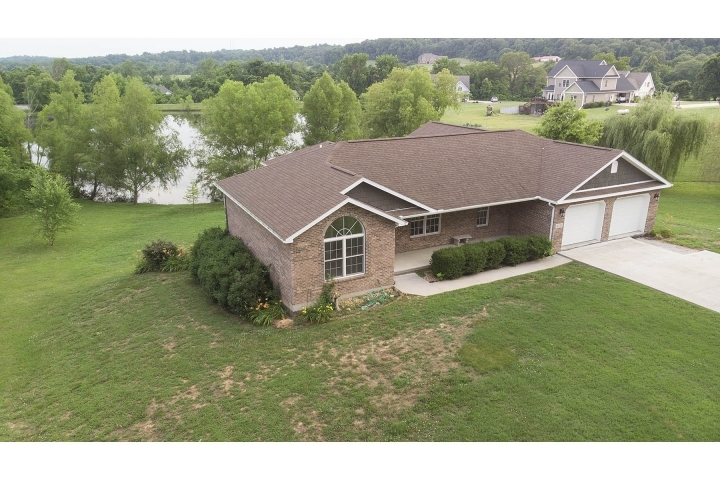 This open concept quality built home offers tons of amenities; including Anderson windows, 2x6 Exterior walls, Custom Beussink cabinets, 8x13 Master closet, possible boat storage & a shop area for all your toys, huge covered deck overlooking the lake, and many more. This home has been completely repainted, new handscraped hardwood in master bedroom & walk-in closet, brand spanking new appliances and new carpet in guest bedrooms. You have got to check this one out! Call today for your private tour!